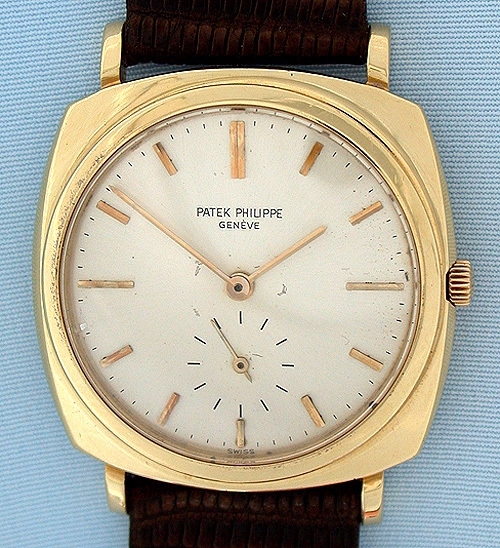 Scarce Patek Philippe 18K gold cushion shape automatic reference 3525 vintage wrist watch circa 1960.Silver dial (light signs of age) with applied gold markers and gold hands. 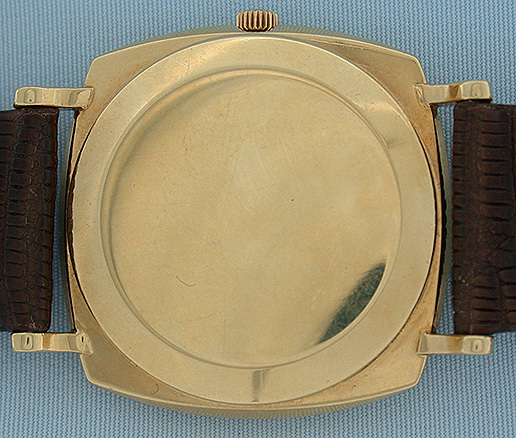 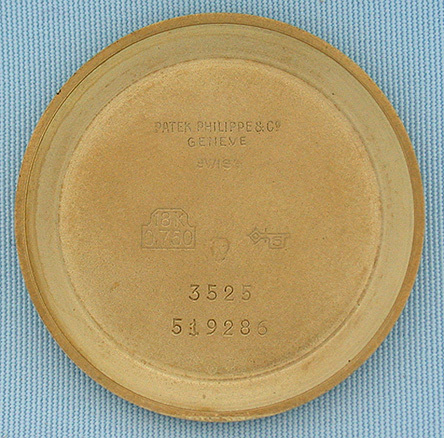 Cushion case with downward sloping lugs and original Patek crown. 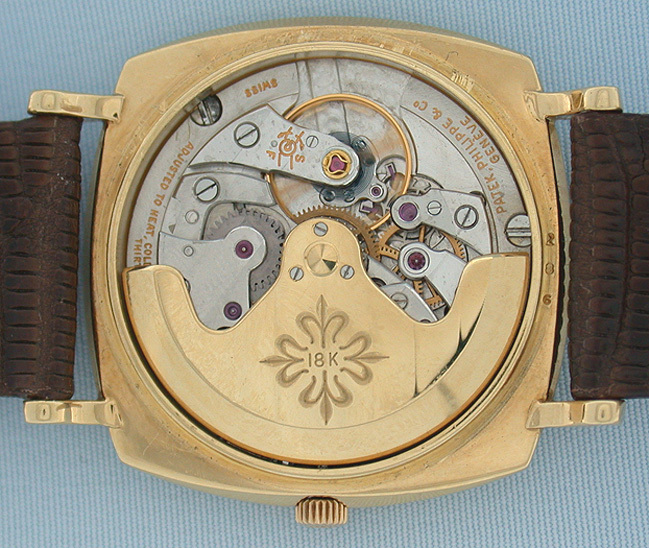 37 jewel 6 adjustment calibre 27460 movement with 18K gold rotor.Patek Philippe did not make very many automatic watches with cushion cases.